When life gives you lemons, oranges or grapefruits, go on and juice ‘em, we say. This sleek tabletop number is a space-saving, hand-operated alternative to electric juicing machines—plus, it exudes a fun, retro-chic vibe. If there were ever a juicer to pair with mid-century modern furniture, this would be it. 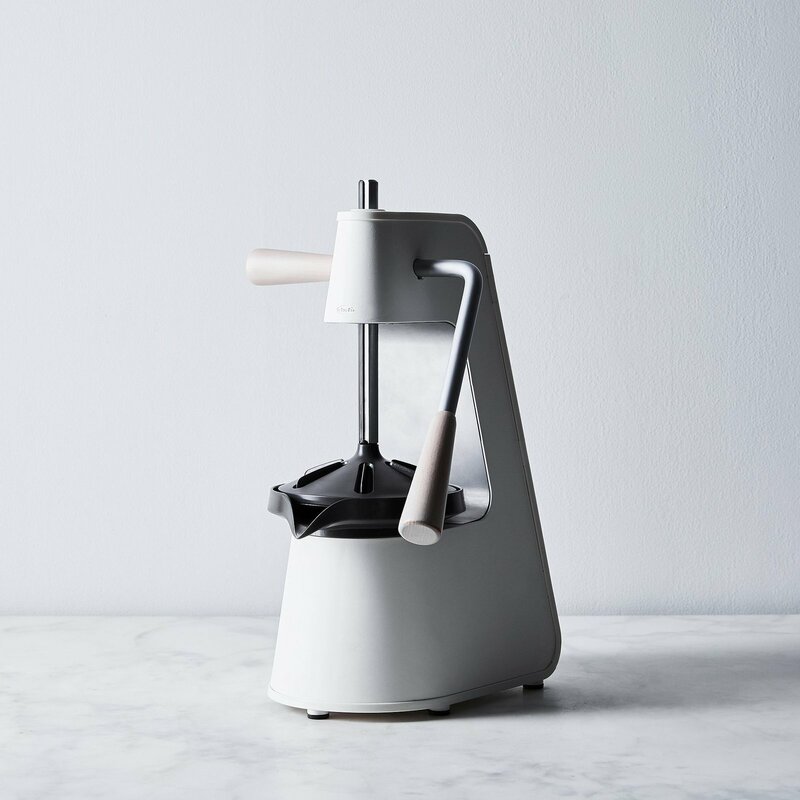 When you’re ready to start juicing your lemons and limes for your sidecars and Singapore slings, this machine will get right work: Thanks to a heavy top press and angled ridges that split the rind, you’ll get every last drop out of your citrus. More juice and less waste? All-around winner, we say.